Guiding Question: Instead of discarding kitchen scraps, how can you plant them to grow more low cost or free food? Procedure: Review the Creation story, focusing especially on any mention of plants. Teach and/or review the parts of the plant. 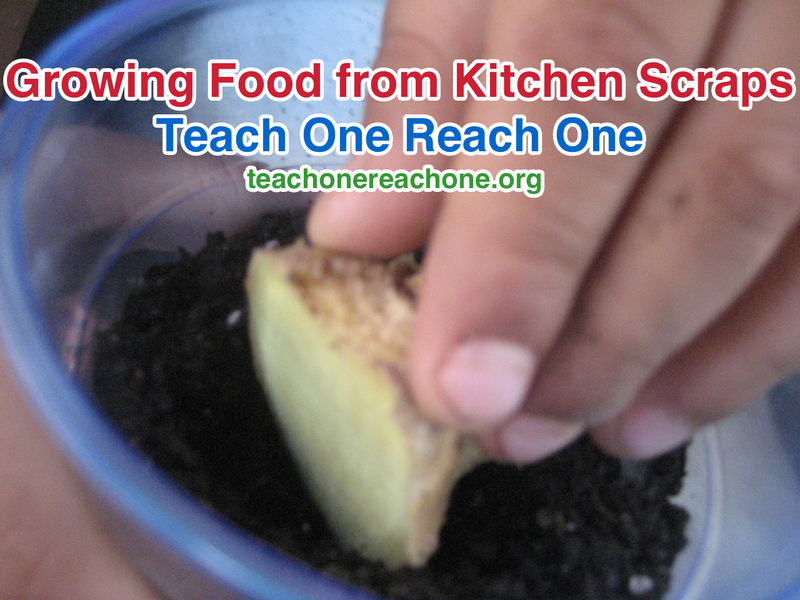 Demonstrate to students what part of kitchen scraps they can plant to grow new food. Help students plant various kitchen scraps, being sure to review how to properly care for the plants if they are being sent home with the student. What parts of a plant can you place in the ground and grow another plant? Why does planting some kitchen scraps result in compost instead of new plants? Supplemental Activity: Have students repeat the activity, varying growing conditions such as soil, light, and moisture, to determine the best conditions for growing food from kitchen scraps.